The Edelrid Loopo II Adjust is an extremely lightweight climbing harness designed for the minimalist sport climber. With a load-bearing edge binding design, the Edelrid Loopo II Adjust sheds weight and bulk while maintaining its strength to make it much lighter with better range of movement on the climb. 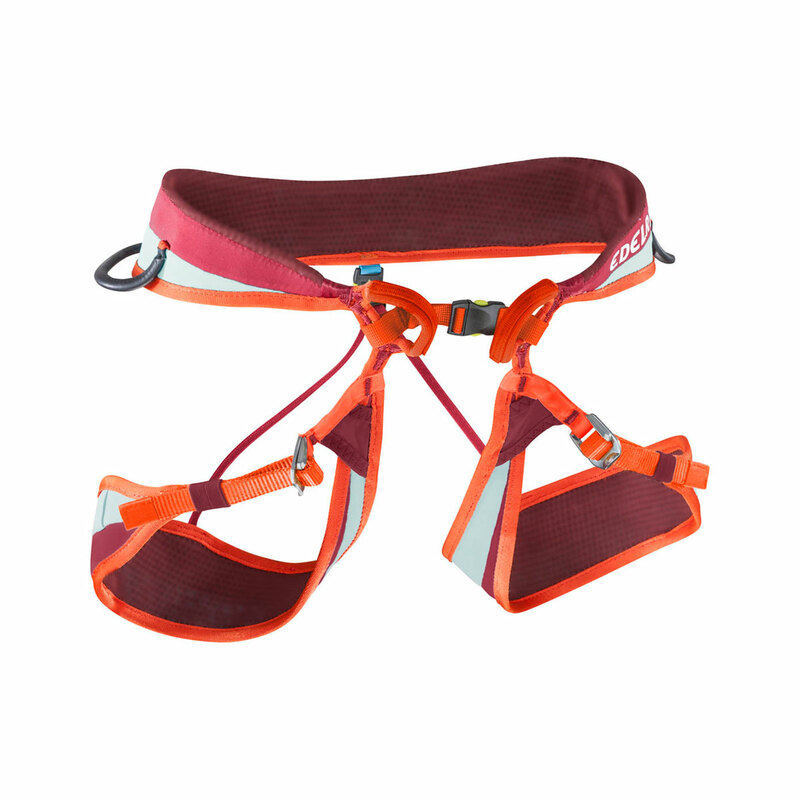 It features double tie-in loops for better load distribution, as well as adjustable leg loops with stretch inserts to further increase flexibility on technical manoeuvres and longer climbs. 2 symmetric gear loops reduce weight, making this harness truly built for the lightweight and fast sport climber.